Since August last year, the Ministry of Economic Development (MED) and the Ministry of Natural Resources have collected about 100 applications for joint implementation (JI) projects. In the two previous competitions in 2010, the MED has approved about 30 projects for a little less than 60 million tons of CO2-equivalent. 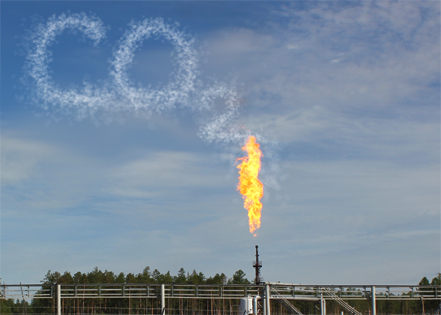 In the third round of the competition announced in August 2011, the operator has collected 70 applications totaling 106.58 million tons of CO2-equivalent. However, in September, the Russian government has approved a new version of the rules for the Russian market of JI projects. In particular, the tender procedure for selection of applications was cancelled, and the limit for operations with units of greenhouse gas emission reductions was set as 300 million units. Rinat Gizatullin, the deputy head of the Ministry of Natural Resources, said that the agency "expects that a significant part of the projects submitted for consideration will be completed by the end of the Kyoto Protocol." He stated that there is some time that Russia has lost by running the selection mechanism only in 2010. He added that, however, now the number of new JI projects increases with each day. Typical for the new projects is broader geographical coverage and relative branch diversity. This time, the list is nearly free of giant oil companies, but includes businesses from Vologda, Sverdlovsk, Arkhangelsk, Chelyabinsk, Perm, Astrakhan, and Tula regions, Khanty-Mansi autonomous district, Mordovia, Khabarovsk and Krasnodar Territories, St. Petersburg and Moscow. Projects on technical upgrading and modernization of production facilities make the majority in the list. Metallurgical and chemical industries head the list, along with power plants. The MED has approved a project for construction of a power plant in Revda Town of the Sverdlovsk region, technological modernization at "Amurmetall" in Komsomolsk-on-Amur and reconstruction of blast furnaces at JSC "KMZ" in Tula, efforts to upgrade two power plants in St. Petersburg, and two power plants in the Khanty-Mansi Autonomous District. Traditionally, supported were several projects related to natural gas. MED has approved several projects to improve energy efficiency: introduction of energy efficient technologies at JSC "Chelyabinsk Electric Plant", energy-efficient modernization of JSC "Mordovcement" in Mordovia and JSC "Severstal" in the city of Cherepovets. Two bioenergy projects from the Arkhangelsk region also received support: the use of wood waste to generate heat at "Solombala sawmill" and pellets production by JSC "Sawmill 25". Unfortunately, the new competition results do not include renewable energy projects. It seems that the procedural difficulties did not allow them to compete with the traditional sectors of industry. And it is unlikely that anything changes here, since the year 2012 is the last opportunity for JI projects in Russia. In December 2011, at international climate talks in Durban (South Africa), the Delegation of the Russian Federation stated that Russia will not join the second period of the Kyoto Protocol. However, the hope still remains - in May the Kyoto Protocol parties will come back again to negotiate the issue.